One thing I like is that you never interrupt when I'm talking to you! Every night, a coyote comes sniffing around our house. It is quite frightening. Please give me the address of the Acme Dynamite Company. Why do I have to share my aquarium with a catfish? Is this somebody's idea of a joke? Three of the funnier letters from this lovely little book about letters to God - if only animals could speak and write like humans. There's more in this little hard-covered book, ranging from what they think of Thanksgiving, other animals and our closets... to how they think we should be treated and why is it dogs, cats, fish and birds are kept inside and yet squirrels are shut outdoors? Hmmm... good question, when said squirrel is hoping to be a good little guy in the eyes of humans. This is a lovely, funny, cute little read. I highly recommend it for a quick afternoon read or a before dinner read and it had me laughing out loud many times, remembering how much my bird made me laugh at her little antics ... and then realising sometimes - just sometimes - she probably thought I was weird as much as I thought she was. Until my next post, happy reading! This morning, I opened my facebook page to read that one of the greatest authors, poets, teachers and human rights activists has passed away just yesterday aged 86. Maya Angelou was the first African American woman to rise from a childhood of poverty and into the ranks of recognition in the literary world - and more. She penned more than thirty books; however she was best known for her ground-breaking autobiography: 'I Know Why the Cage Bird Sings'. She had a miraid of jobs surrounding the theatre and club scene before writing her first book in the 1970's; and this book brought her name into the literary mainstream. Personally, I had heard of Maya Angelou when I was in high school, however never had the opportunity to read her work. As years passed by, I found her book on Bookcrossing and ask if I could borrow the book or become a member on a book reading ring. When I did get to read the book, 'I Know Why The Cage Bird Sings', I found it was wonderfully written and couldn't put it down. I think we will all miss Maya Angelou for her writing, her poetry and her presence in this world... there will be no other writer or person like her again to grace this planet or time as we know it. Can You Pronounce This Poem? I spotted this on Facebook and thought this little - err big - poem would be a great challenge for us readers and writers out there who think our English is spot on. Don't Panic! It's Towel Day! Yes! Don't Panic... really honestly don't. So long you have your towel with you today, it's all going to be fine. What? A towel? Yes... a towel, why I'm wearing my towel now... around my shoulders as it's a little cool right now. But you can wear your towel any way you like - as it's Towel Day. Towel Day celebrates the life and works of the great author Douglas Adams and his memorable book series 'Hitchhicker's Guide to the Galaxy'... where Arthur Dent and his friend Ford Prefect go on their own adventures just when planet Earth is being destroyed for a intergalactic super highway. The plot of this book is hilariously funny, brilliantly written and I love it so much I tracked down the Trilogy in Four Parts ... fantastic! So, really, don't panic... make sure you have your towel... and stick by any friend who names themselves after the model of motor vehicle and has a weirdly wonderful dress sense. Until my next post, happy towel day! Don't you love it when you walk into a bookstore - second-hand or new - and you find an author you've been meaning to read has published another book? Well, I have a list of authors who I want to read, however, I never get around to reading any of them... sure I have them in my collection and they're all sitting there waiting for me to get my nose between their pages, however a month passes, a year passes and they still sit there and gather dust... darn! Then, on my last visit, I picked up two books by authors I don't have: Kurt Vonnegut and Jasper Fforde. These guys are some of the best authors around the I just don't have anything by them! And what a bummer, I have been missing out on their work too. Well, I've begun on 'The Slaughterhouse 5' and 'The Eyre Affair' and both books are great! I'm wondering exactly where I was when my brain decided to ignore such wonderful literature? So, over the last week or so, I've been looking through my collection and brought the books I've been meaning to read to the front and just lined them up along the bookcase next to the door. This pile is a To Be Read pile... but there's no time limit on it. I don't have all year to read it. So there's no pressure... I'll read these books when I get around to them. Well, do tell... how do you handle the pressure of finding that perfect read? Have you found the perfect author? And with your reading list... do you have a list toe read over the year and keep to it, or is it added to over time and you wonder how to keep up? Or is it all no pressure and see what happens? Until my next post, happy reading. Now I have my own set of wheels, I've been returning to the Really Good Book Shop at Browns Plains to hang out and enjoy the bargains there. It's been wonderful and relaxing to be able to take hours to just hang out in a wonderfully organised book exchange. Yesterday, I took my Mum there. At first she didn't really want to go, but then I insisted and she said yes. So, we arrived, locked up the car and I opened the door to the place. As she walked in, her mouth dropped... as it does with all first-timers at this place. There. Were. So. Many. Books! She couldn't believe how many were just stacked around the place and she noticed it was just so very organised! I introduced Mum to the owner and while she was still taking the place in and I asked her what she had in mind to look for, and Mum said, "Um, I forget... hang on, I'm still kind of taking this in." A minute or so later, she asked about an author and the lady behind the counter looked up and author and came out from behind there and led Mum down one of the crowded aisles of books where she easily found the author she was looking for. Me? I said I was going to be in the Classics section... I was looking for Kurt Vonnegut's 'Slaughterhouse 5', and I was off and around the corner after trying to give my Mum directions to where I was going to be and she said to forget telling her. After we found our books, we made our way to the counter and made our purchases and went outside into the lovely day. The moment the door closed, Mum kept on saying, "Wow! Just wow! What a place! I do think they need a bigger store though, but what a place!" We went to MacDonald's MacCafe for something to eat and then headed on home. It was a great time to have with my Mum; as we both love books and bookstores. And it was a pleasure to show Mum one of the stores I've discovered in our area. The great thing is that she loves the place because it's clean, it's not dusty and the books are nice, tidy and not dirty... and are reasonably priced too! Now that's always a bonus! So, she'll be going back there as much as I will. And you know? I did find Vonnegut's book I was looking for... and I'm beginning it this weekend. Until my next post, happy reading! I love it when I discover a place that's a big secret from everyone around it - especially when it has to do with books... then it makes me feel kinda special to know of its existance. Well, I found this link to the Secret Libraris of New York City. And now I've seen the photos, I really, really want to go and visit them all... especially the ones I have to be a member of to get into... as it's the most amazing thing to see something not many others do, isn't it? Anyway, I'll let you in on the secret too now... and then it's not going to be a secret is it? Until my next post, happy reading. What a surprise! Wow, this is fun... but this is also the second time I've had the Liebster Award for another blog of mine. I hope I'm not breaking any rules here... here's hoping. And I'm unable to post the actual picture here either, so I've got a link to it on Photobucket - as I've run out of room on Blogger and they won't give me anymore room to upload images... bummer! However, I will also put the image on the sidebar too. 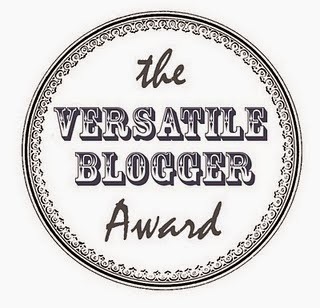 First off I must thank Captivated Reader for nominating me for this Award... how wonderfully kind of you for doing this for my blog! Thank you! 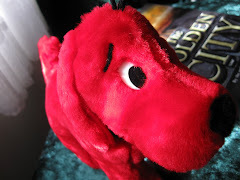 You guys can find her blog at Captivated Reader where she posts almost every day about so many things, from bookstores, books and authors to what she's reading, what she's bought and ... well, anything book-related. A great blogger this one! And she's also a Bookcrosser too! 1. I love gardening. Yep, I have been working on a little 'postage stamp' garden for around 12 years and love it. 2. I have Epilepsy I was born with and have what they call 'attic space' in my brain. It's a part of my brain that doesn't work; and yet I've rewired myself so everything else does. 3. I've learned to play an instrument when I was told I could never learn music - I play a flute. 5. I've never been married or had children. 7. I collect vinyls, handbags, cd, books and dvds. 8. My late-Grandma gave me her piano and I taught myself to play it a little - still need lessons. 9. My second bedroom is filled with over 1,000 books I've collected since I was 4 years old... I have a story to each book I own. 10. I have written over 8 books of work from poetry, novels and novellas to a massive sci-fi fantasy saga and erotica - and none of it has seen the light of day to be published yet. 11. I survived a 4.3 Melanoma when I was 23 1/2. The surgeon told me that if I hadn't gotten it removed when I did, I would have had 6 months to live... I'm now 40 and haven't had another cancer since. So, to help and give back, I take part in The World's Greatest Shave each March and colour my hair... it helps the Leukaemia Foundation find a cure and next year, I might shave off all my hair. Wow, that happened a long time ago. I was 4 years old, was very sick with childhood Epilepsy and my older brother went to school. He brought home the ‘I Can Read’ Series and didn’t like to read, and I wanted to know what the big deal was. So, I stole them from his school bag and taught myself to read… at first, though it was escapism; which turned into a passion as I got older. I love to read outside while sitting on the curb in the sun in Winter. In Summer, it’s my backyard while sipping on diluted Cranberry Juice on my outdoor setting under the shade of Lilly-Pilly Trees. When I get too hot sitting in the heat, I just stop and look around my pretty little garden and enjoy the sound of the day… yeah the book gets ignored for a bit. A lot of the times I do love to stretch out on my lounge with my feet up on the coffee table to read as well. The best place to read is in bed just before the light gets turned out… really late at night when everyone else is in bed. Aaahh… that’s gotta be ‘Charlie and the Chocolate Factory’ by Roald Dahl. My copy is a paperback and half the pages are falling out of it… and yes, I still have it. I also love the first film adaptation too… so much fun! But the Oompa-Loompas were just a little bit too creepy if you ask me. ‘The Secret Garden’ was one I found hard to read but I loved it. It’s something I read when I was young, and because it was about a garden that was hidden and secret and a sick child, I could relate to the characters. There’s another one: ‘The Lion, The Witch and the Wardrobe’ by C.S. Lewis. I have an old copy of this amongst my collection somewhere, and I read that a few times when I was young and loved the adventure of it. ‘The Stand’ by Stephen King. A great book by a great author. We have The Logan Arts Festival here in Logan City. However it’s in its infancy; so we’re just starting out with it. Logan City Council is working on making it bigger as each year passes. But last year was its first time out there; and they held it at The Butter Factory (a historical landmark which can be hired out to groups and companies, which really was a butter factory; making all the butter and dairy products for South East Queensland). I love it when I’ve written about a book – good, bad or ugly – and hear back from the author in my comments, telling me that it’s good to know there’s honest people who don’t just say a book is great because that’s what the author wants to hear… I love it when an author has both their feet on the ground like that – and take the time out of their busy schedule to read blogs like mine. I try to. However, I have other things going on outside my book blog and reading schedule. So, read-a-thons and challenges are difficult to take part in when I’m also working in the art world too. I’m an artist, photographer, gardener, collector of books, vinyls and handbags, enjoy cooking things from scratch and I run a small hobby business called Crafty Pegs. It’s on Facebook and in its first year of business. So far, I’m going well… and I’m working the Creative Markets once a month. I’m also a volunteer at the Logan Art Gallery; and have been for the past 15 years. Yeah, I’m a busy person, but it’s what happens when you live on a fixed income… you find other things to do besides finding a paid job. Okay... let's see who I've nominated! And now... for my questions! 1. How many books do you have in your collection? 2. Do you buy books for gifts, then think: 'Nah, I'd like to read that one.' and buy a second copy, then get home and realise you already own it? 3. When you find you can't find a thing to read, what do you do? Do you have other hobbies to keep you occupied? 4. Is your collection confined to one room, or is taking over your house, your life... are you the crazy book lady/man of your family? 5. Do you have a favourite place to read? Let us know what is it. 6. If you were permitted to meet just one author on your last day on Earth, who would it be? 7. Out of the bookstores on planet Earth, which one would you love to live close to? 8. Do you have a local bookstore you frequent? Tell us about it. 9. When did you begin reading books? 10. Does anyone else share your passion for reading? 11. Have you ever come across a book where you'd love to be one of the characters in it? Which book would it be? Winter has struck early here in Brisbane and so we've had to pull out our jumpers, slippers, beanies and scarves early this year! This also means I'm into my Winter Readings early this year too. I'm still reading the book about Mozart - very fascinating stuff! Alfred Einstein did his homework on this great composer, his family and friends completely. I'm impressed! However, there's so much more to read this Winter that I'd love to get my nose into. I'm hoping to read '84 Charing Cross Road' by Helene Hanff, 'One Hundred Names' by Cecelia Ahern and maybe a few others too. I'm also writing a book about Angels, humans and Demons. It's in the beginnings stages and I'm not quite sure what's going on but it's looking good so far; and I'm up to chapter 4 on my first draft. It's looking good so far, and even I want to know what happens next; and this is a good thing... yeah, I don't plan my books, I just let them take me wherever they go naturally. I have an idea of where they're going, but not a real plan. So, what are you up to with your reading? Until my next post, happy reading! It's the first of the month and I'm just jumping here to see what you're all reading. Me? I've got my nose into 'Mozart: His Work and Character' by Alfred Einstein. It's a first edition from 1946 and I'm totally enjoying the first chapter called 'Travel'. This chapter completely covers the life of travel for the Mozart family from beginning to end. I can't wait until I get through this part, but how Einstein tells it, Leopold Mozart loved his son, Wolfgang, more than his wife, his daughter, work or anything... even life itself. However, Wolfgang became very much like his father in more ways than he even thought. And the reasons why he never went back to Salzburg was because his father was always trying to push his son to be always working so hard, when there was a party to go to; something Wolfgang loved to do. And this is just chapter one! I've only read up to page 16, and it's a very interesting read so far. This book was written by Albert Einstein's cousin who wrote about musicians and how and why they became who they were and are to us today. I found this book in 'The Book Barn' at Mullumbimby on the Far North Coast of New South Wales... and I'm so happy I have it as it's one of the rare books I own and now it's one I'm reading too. So, let us in on what you're reading? Is it fun, educational or a horror book? Until my next post, happy reading!